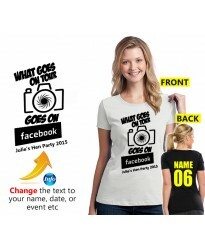 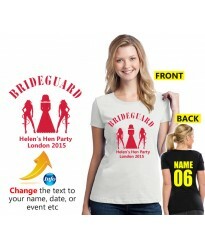 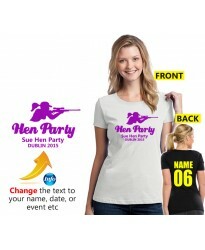 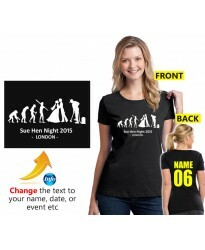 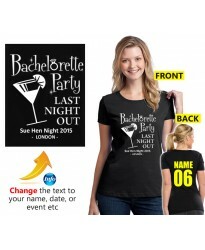 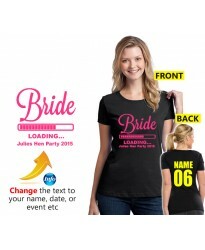 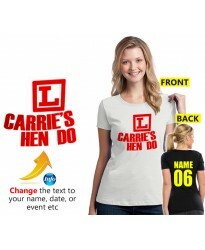 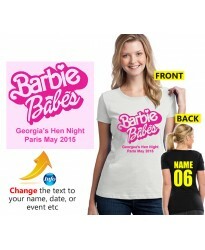 Hen Night T Shirts which we offer include a huge colour choice ideal for bachelorette parties. 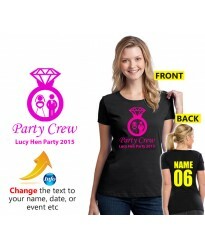 You can select the design which you like and add your own custom text to make it a true personalised tee and further have back custom nick name and number printed. These t shirt are made from 100% soft cotton and idea for hen nights events - these tees come in a huge colour choice and size from stock.